For 2013 I think it's time to give myself a little project, it's going to be a challenge to build it for under £450 with new components only and a selection of spares. CPU - The i5 3570K Ivy Bridge chip has received favourable user reviews - plus ZoSo recently got one - I have a passion to get starting with Folding proper and having a dedicated PC will help reap about 35k PPD. There's no other high-performing CPUs at this price-point. RAM - May get some RAM from a friend otherwise I'd be getting some more Samsung Greens. I should note that SMP requirement is 1GB per thread and will cover this by getting 8GB. 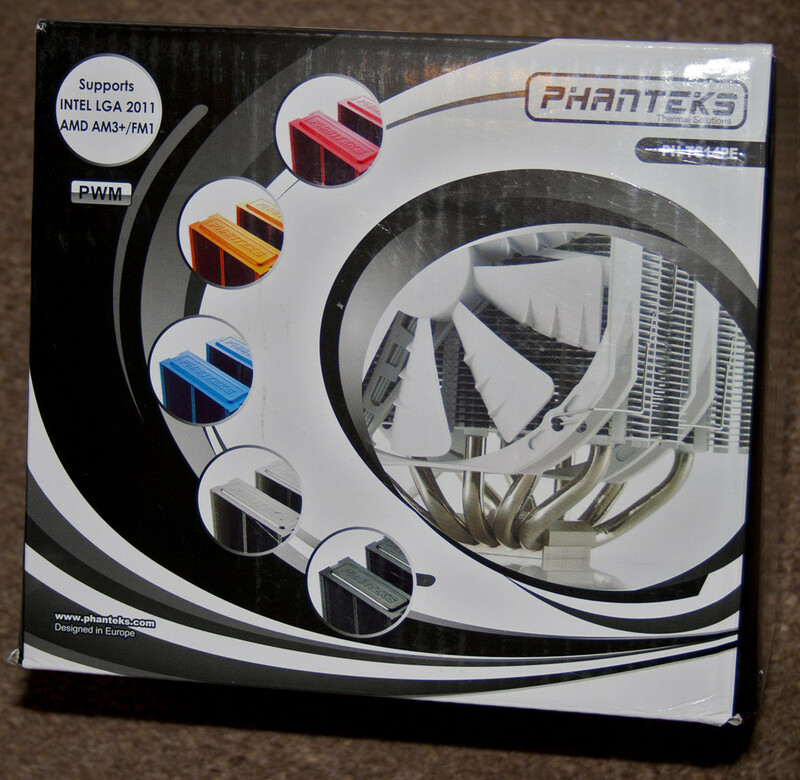 COOLING - Phanteks ph-tc14pe, is provided with 2x 140mm fans. Case fan is the Corsair AF140. 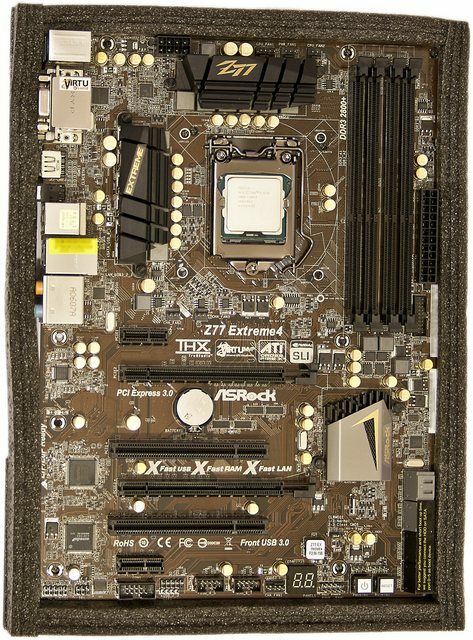 MOTHERBOARD - ASRock Z77 Extreme4. Though I do like Asus boards (despite the higher prices) for the ease of tweaking. I don't approve of the +/- offsets as I prefer real values (eg, set vcore to 1.30v than seeing +0.5v). I had a MSI board and it doesn't tell you the actual clocks/volts in BIOS, I read Asrock is the same. 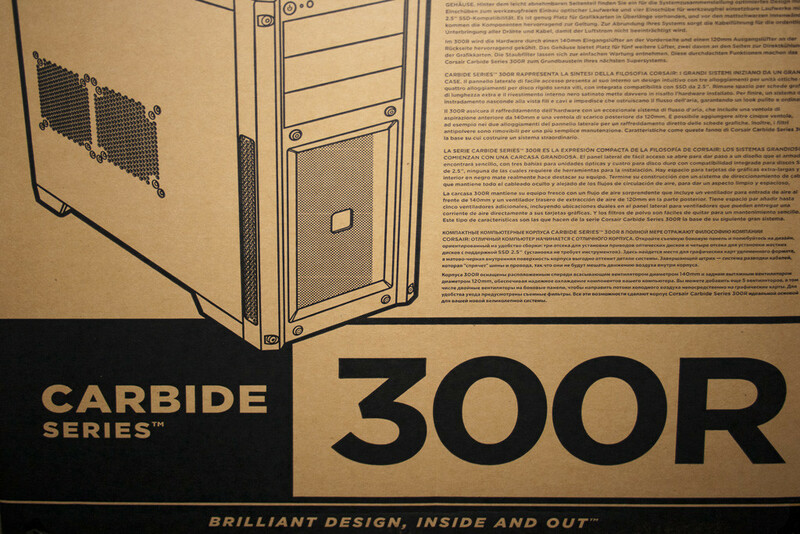 CASE - Corsair Carbide 300R mid-tower. HDD - Not important since I have a choice of random 7,200rpm HDDs to pick from that work perfectly fine. 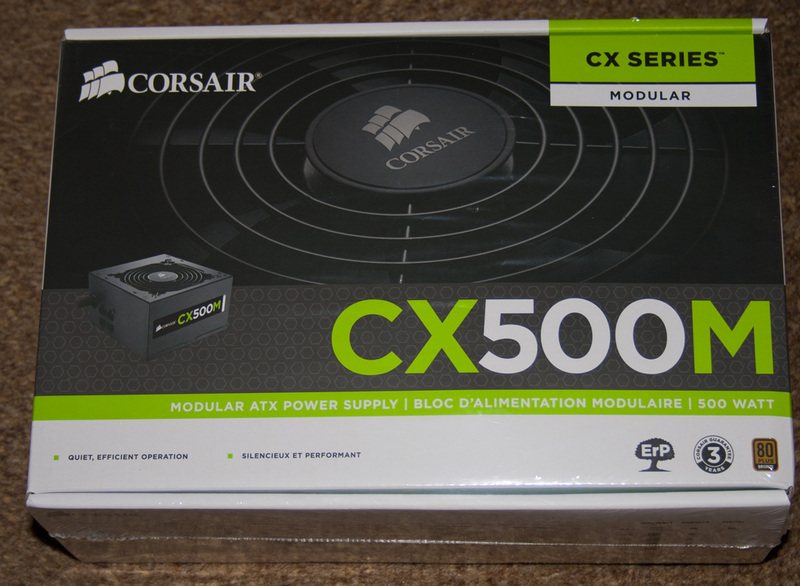 PSU - 500W Corsair CXM Builder series. OS - Can't afford an OS in order to keep the price right down and will look at ubuntu - benefit of this is improved performance Vs using Windows OS but I have never used it before. Other items such as mouse keyboard won't be important as once it's set up it will be left to run. I agree on the CPU for that price point, nothing else compares in that range. However you can find 2133 RAM as low as $49.99 without any rebates, you want the lowest CAS Latency you can find (9 is about the best for 2133 at a decent price) and the lowest timings possible. Just take a look at what is on sale and look for what I said. Fastest speed possible between 1.5-1.65V and the lowest CAS and Timings you can afford. For Cooling an i5-3570K you do not need something as extreme as the H100 and the Corsair stuff is priced a little high. I would recommend Thermaltake Water2.0 series, as both Corsair and Thermaltake are made by Asetek Cooling, meaning internally they are almost identical.. Ivy is pretty cool in general due to 22nm and unless you plan to OC it above 4.5ghz you don't need anything more than decent air cooling. 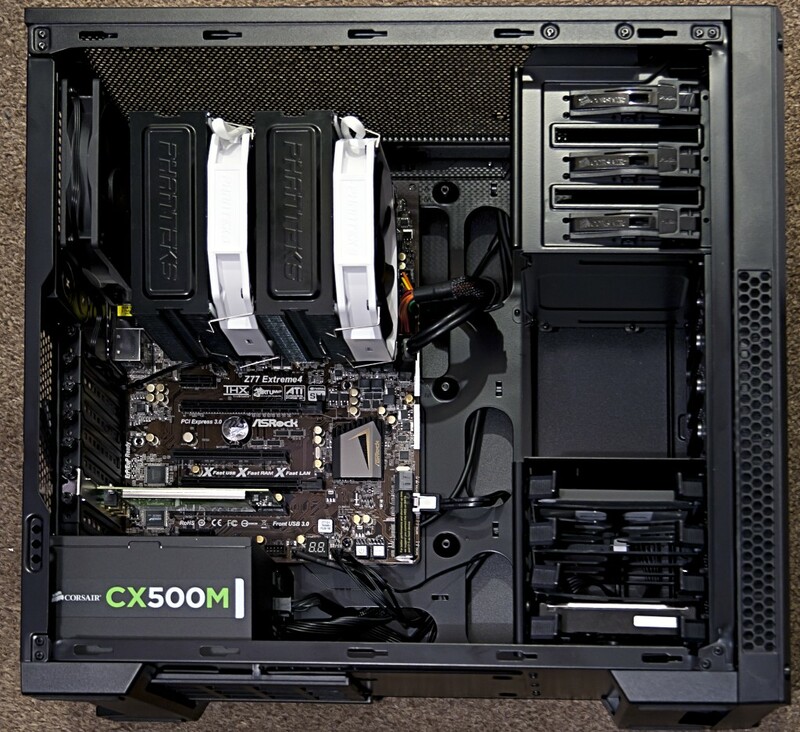 Also with a Micro-ATX case, you may have trouble fitting a rad as big as the H100 or Water2.0 Extreme. Something like the TT Water2.0 Performer or Pro is plenty for Ivy, as long as you put decent fans on it. You can find the TT Water2.0 Pro as cheap as $60 when it is on sale, right now it is $83.99 on NewEgg, but I guarantee it will come down to near $60 soon with the Holidays. I agree with ZoSo, this Corsair cooler is too much for that cpu. You can look at Antec 620 or that Thermaltake, which Zoso suggested. I'll be using my 2-year-old DDR3 1866MHz (9-10-9-27-2T) RAM at 1.5v. Remember when I mentioned I RMA'd a couple 4GB sticks and got back a couple new revised ones, those will go all in with the other two given me 4x4GB 1866MHz. Will help keep costs down even though I totally understand 2133MHz is the optimal amount. Not sure what difference in PPD it would make, I'd guess 1~3K tops. Interesting what you said ZoSo too about the Thermaltake and will need to read more about that. I don't think many have got the i5 3570K above 4.5GHz so the Water 2.0 will suffice if a 120 rad is enough for 24/7 use, my custom triple-rad running folding peaks at 66c @4.6GHz (room temp of 24.2c) - highly suspicious that a 120 won't manage unless the 3570K overclocks with lower volts than mine (1.37v). 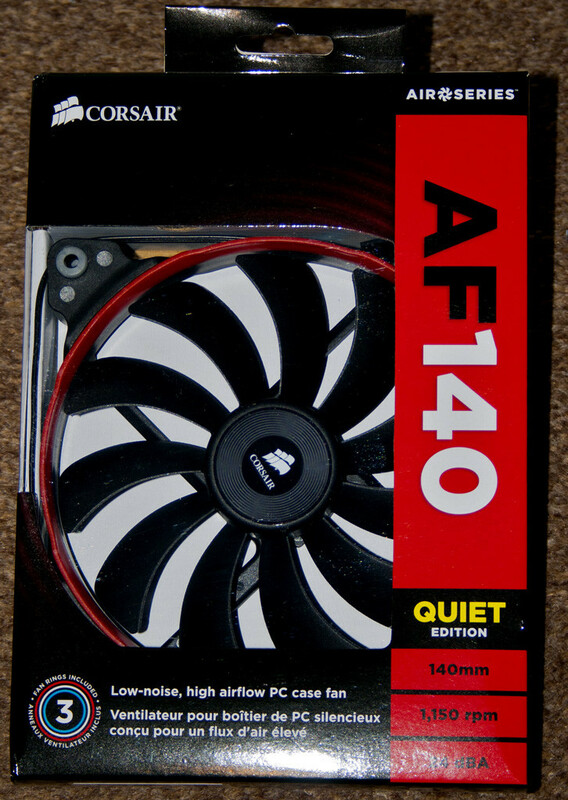 Corsair do excellent fans with enough CFM but at near silent audio levels. You neen static pressure fans for watercooled options to force air through the right fins; the Corsair SP120 High Performance fans are ones I've been watching for some time and at £14 I'd be happy to pay that. WC, this is a SMP CPU-only rendering rig with energy-saving in mind - for every 100W consumed 24/7, that is £140 annual energy cost. The Folding system under full-load would consume about 280W @4.5GHz which is £390 annually. I can't afford to add another 150W (£210) from a GTX 670. Energy price increases in this country are never ending, yearly increases of 8% are typical and my annual duel-fuel is currently £1280. 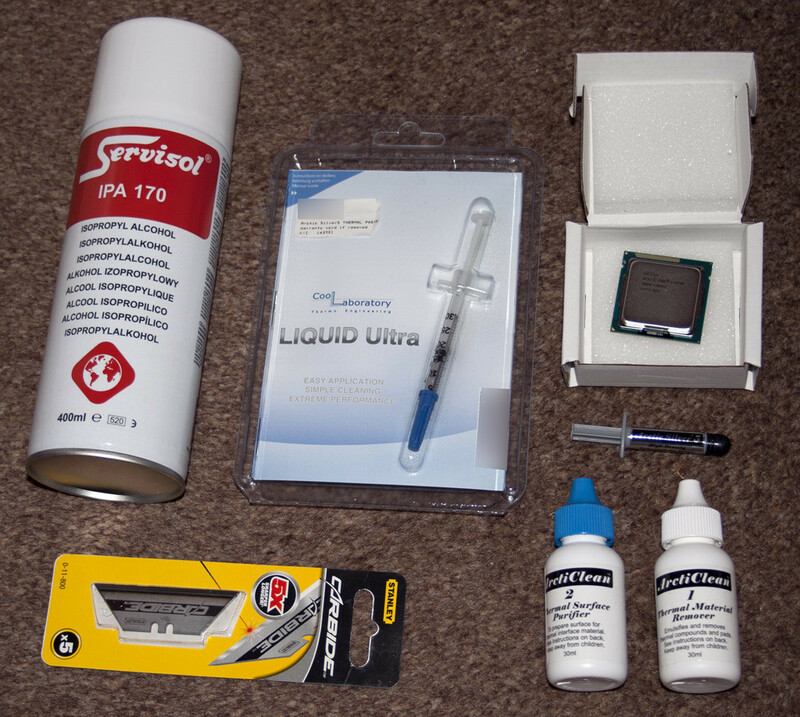 A little update as I've sourced good prices for my components and got the costs (excluding thermal paste and 2 140mm case fans) down to £428. That's a saving of £47 from my new items because I was going to shop at one etailer. The reason why my cost is right down is because I've change components (the H100 won't fit anyway): Corsair Carbide 300R, Core i5-3570K, ASRock Z77 Extreme4 M Intel Z77, Phanteks PH-TC14PE CPU Cooler (with x2 fans), Corsair Builder Series CX 600w Modular. I really wanted that cooler for my rig, the black and white edition, which was supposed to released (as they told me) on 1st August. You should note that overclocked Ivy Bridge processors are consuming much more power than clocked at reference speed. That is, if you are going to oc. Why not put your current CPU there and use those new components to your new gaming rig? I might be missing a point here, I'm not really a folding expert. Yeah, it's mean and very good at cooling the 3570K which is really needed for this chip to ideally keep it below 70c for running Folding 24/7. For power, it's not going to be anything to worry about but the heat. Not exactly sure what the total system power consumption will be but I'd guess under load it would between 180W~250W. Maybe I'll need to revisit my choice of picking a 600W PSU and get a 500W for about a £5 less. 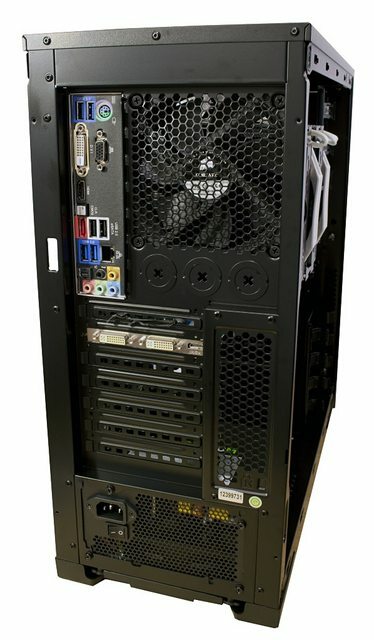 The 430W would be fine too as >250W total system power consumption would only utilise 58% PSU. Nice thought WhyCry, about building a new gaming rig. I'm happy with my existing rig and it would be reletively cheap having a folding rig for £423. If I did, I'd be missing a trick by not having a Z77 chipset that could take advantage of the CPUs QuickSync that greatly speeds up video transcoding far faster than any other solution. Plus I really need additional cores for bandwidth intensive apps I use - this all points towards Haswell coming in the Spring. On the main issue of heat: my current 2600K @4.6GHz under custom water runs at 70c Folding for several hours every day overnight. I dread to think what a 3770K would reach being run constantly (even though I'd only need to reach 4.2GHz to get the equivalent performance return), 80c is too high as the maximum temperature for component lifespan is the recommended 72c. I've seen people get to 75c with good cooling. The main point of this build is to keep it as quiet as possible, reasonable power consumption in relation to Folding efficiency, cost to factor in it's only ever going to be used for Folding and stored away. I hope reliability is good on the components I chose as normally you'd need enterprise-grade components for 24/7 use, this covers components in use for more than 8 hours everyday. If something fails you'll be the first to find out. Think I may grab an OEM 3570K as I spotted a good deal. Since I'm looking at de-lidding IHS it for lower temps the 3yr warranty would be voided anyway and I'd save £12 which isn't much. I could play really safe and not do it but we all know how poor the TIM is. Procedure should take about 25 minutes tops. I could get retail and see what those temps are as I have seen posts of 70c but those are rare and shouldn't hold my breath. If retail turns out to be high temperatures then I may end up de-lidding that anyway. Thanks I checked the link. Certainly impressed with the build quality/performance for possibilities as you didn't used to get desktop performance on these. The mini boards were never mine field of study. I can hardly follow the news about the atx standard. 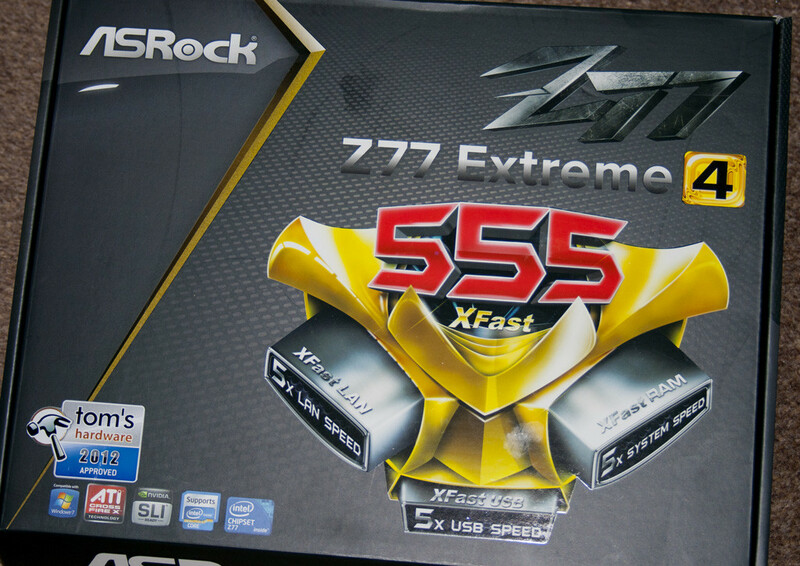 I've bought everything Went for the Corsair 300D + the normal ASRock Z77 Extreme4 board. I'm only awaiting Arctic Silver 5 which was missed off *grrrr* in my single order but another is on the way for Monday here's hoping! It's fun building and getting everything sorted which I'm quite fussy about and take my time. In the meantime if you need a photo of everything in one photo - still in their boxes and clothed - I can sort that. That's awkward, you have everything, and yet you can't finish the build because of the thermal paste. When I got my parts I immediately started building, now I can't even remember where are all the boxes Keep us posted how is your Ivy experience. Btw, I always keep the boxes/contents for the duration of the warranty as that proved invaluable for my Intel P67 chipset recall and when my RAM was RMA'd to Corsair. Then after that period there is no point keeping them unless you have in mind to sell them within 3-years. 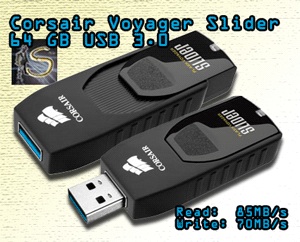 I bought the reliable Corsair Voyager Slider 64GB on offer for £42 as my current 8GB stick is on the small side (write speeds were kind of slow at 8MB/s when transferring 4GB of legal FLAC music files as a test). I will bench the Slider and let you know, how fast and durable is your ADATA stick WhyCry? The Corsair AF140 (or SP120s, etc) have 3 coloured rings: red, blue, and white. I'll be using blue even though you won't see it due to the mounting in the front. It comes with voltage step-down adapter that will reduce the RPM if it's too loud. Normally you'd use a fan controller but this saves more money and hassle for the sake of a single fan. Well If you paid 42 pounds for that drive, I must say it wasn't the best option. At least in terms of the speed. Mine was about 25 pounds and It's really fast. The 64GB version costs twice as much. Speeds are amazing. It takes 4 seconds to move the movie from the drive to pc. I have plenty of cables for the fans. There are two controllers with 4 cables each, so I can control 8 fans. I might buy that black and white, looks great. Now those are proper USB 3.0 capable drives! In the UK ADATA 64GB 180MB/s / 90MB/s are going for £50. The 32GB 180MB/s / 50MB/s is £32. Maybe when I need to go beyond 64GB I'll make sure to check ADATA as speed will become more of an issue then. I'll post pics of build tomorrow. I'm going to be behind with the build because the Phanteks cooler is a used/damaged item and need to phone them tomorrow. This etailer ain't getting anymore business. This is the same company who forgot to include the AS5 - 2 incidents on the same order! from where do you order ? Not sure if I should be naming a company I just complained about unless a mod thinks otherwise, doesn't really matter does it (?) but it was online 9 days ago paid by credit card. You can name any company you want, this forums are for you not the site itself. Ok boss. The site was Scan.co.uk who gave me a used and damaged cooler which I was told was transferred around internally, ie used. Today they arranged for the courier to collect soon, no idea exactly with the weekend but they will inform me. Have a new Phantecs ordered + free delivery to arrive either tomorrow or Monday. Had to use my card to order to get it turned around fast. Will be refunded £57.77 once they inspect and agree with my verbal/written complaints. I should note I did get a verbal apology but no compensation apart from the free delivery worth £10 since it was under the minimum spend for my usual free delivery. I didn't have to go much into the legal banter and simply told them it was not of satisfactory quality or as described, or fit for purpose under the Sales of Good Act 1979 and that I paid in good faith. Then I got another apology. Scan are the same company that didn't provide my AS5 last week which is why I couldn't commence until this week and examine the components as I build. It has felt a not-to-be build cos I usually have no issues on building £££s gaming rigs from scratch. It's their customer services (took 7 minutes to get through on the phone to returns vs 4 rings on sales which honestly doesn't surprise me with any company) that could turn this around otherwise my £££s will go to many other rivals. Until I get the the item back + refund in 10 days then inspected it's not over yet. I filmed the unboxing of the build that included the cooler, if anyone ever accuses me of mishandling etc, I can show the unboxing that proves without doubt the condition I received it in. Could be an out-take if I do a video lol. man i swear that if corsair was not that good i will drop them . They fooled me for 1 month now , and i still have not received my PSU. Lately they send me an email saying that they can not ship to my country through UPS because it is prohibited, dunno why, so they are offering me a full refund which will take another 7 - 10 days. Regarding your issue; my Phanteks cooler refund will take up to 10 days and that only because it requires inspection too. It really shouldn't take ANOTHER 10 days for payment to reach your account unless there are exceptional circumstances, ask why the additional delay. I find the process you went through odd as it didn't ask/check where you resided so that Corsair would know they could safely return the item. If you paid for the delivery you want that refunded as a goodwill gesture, might want to mention the time spent dealing with the problem and the stress/delay to retain your custom. You have many questions and I'd write a list and email them. Be patient and keep all correspondence. RAMGUY is cool on there (you can also contact Yellowbeard who works for Corsair) and never had to make a forum post when I returned my faulty Corsair Vengeance RAM in November. I filled the support form, all automated as I'd done all my own fault checks, and got a good turnaround. This is the content of the email for tech support express case that was shipped all the way to Netherlands from UK. That location in a lower tax country would be my main complaint because I had to pay shipping but they paid for replacement delivery as standard. Once your package is received, Corsair will process your replacement order in 3-5 days.All replacements will be shipped UPS Standard. Please allow 2-4 business days transit time for delivery. We will inform you of any product delays or problems making a shipment within this time frame. Finished the build early yesterday, spent ALOT of time cable-managing, I'm very happy with the minimalistic look - notice I have the GT 440 installed for another 4K points. Be a shame not to use it despite the lack of grunt. I did have a problem where the system was keep rebooting. Diagnosed and checked everything and found the issue was a single bent CPU pin that I had to correct. Before I checked the pins it cross my mind that the RAM may have been the issue (I took the heatsink off to fit it under the HUGE Phanteks) cos the board display the code for memory not detected... either causes the same message. All that took about 90 minutes in all as I had to take board out and install heatsink again in order to fix it. nice mate keep it going ! This is the PC on it's way to a spare room to run for a bit as it's colder there. Eventually get the i5 3570K from 4.2GHz to 4.5GHz, ideally 4.7GHz depending on stability and eventual temperatures [edit: now at 4.8GHz, 1.3v, 66c max, 100% stable]. To be picky on a budget case, I would have liked the case to be able to mount a 140mm on rear to directly exhaust the huge Phanteks rather than being out of alignment and hitting the bottom 120mm case fan. There is plenty of cool air being chucked out of the back I sometimes wonder if the CPU is idle. The theme is mainly black with occasional white, managed to find a packet of unused Sata cables with white connectors. May consider soundproofing the sidepanels and roof because of soundleakage and better direct airflow but it would cost £25 pre-cut. I must say, this CPU cooler looks great. So what's that card on the PCI slot on the last picture? Doesn't look like a graphics card, is that a sound card?. Anyway great rig, you can even upgrade to external watercooling. What's on the top of the case? It's just a mesh or there's a cover?